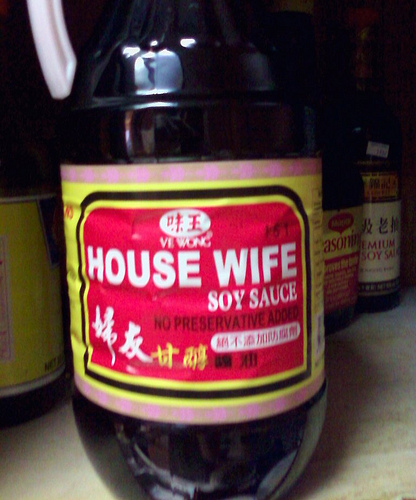 Soy sauce is a dark brown extract of a fermented mixture of soybean and roasted wheat flour. Soy sauce with 7% protein content meets the Food and Drug Administration (FDA) requirement. It compares very well with the protein and lactic acid content of known local commercial brands. Ingredients: Soybeans, Brown sugar, 20-22% Salt solution, Sodium benzoate as preservative, Monosodium glutamate (MSG), Bacteria (Lactobacillus delbrueckii), Yeast (Hansenula subpellicullosa), Sugar molasses, Flour, water, kaolin, Mold (Aspergillus oryzae). Equipment: Fermenting Vessels/Vats, Pressure cooker/Horizontal retort, Filter press (Stainless steel), Funnel/Liquid filling machine, Pasteurizer/Kettle, Frying pan, Mixer, Bistay/Trays. Soak soybeans in water overnight, then wash and drain. The soaked beans are steamed with water for one hour at 15 psi. The beans are allowed to cool. mash formed is transferred into fermenting vats and mixed with 20-22% salt solution. The vats are covered with thick plastic sheets. Fermentation is completed after three months. The mixture is clarified with kaolin overnight. The fermented mash is filtered and the brew is pasteurized at 80-85 C for 30 minutes. Caramelized brown sugar is added to improve flavor, color and viscosity of soy sauce. Sodium benzoate is added as a preservative. The product is bottled.